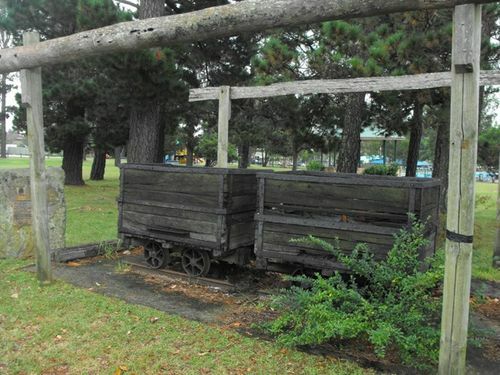 The "Miners Tribute " coal skip display is part of a Lions Club Project which pays tribute to all miners who have lived and worked in the township since coal was discovered by Charles Harper in 1883. By "Pit Ponies" Deep Below The Surface. And Served Many Years In The Mines.